PLEASE SHARE WITH YOUR COMMUNITIES. 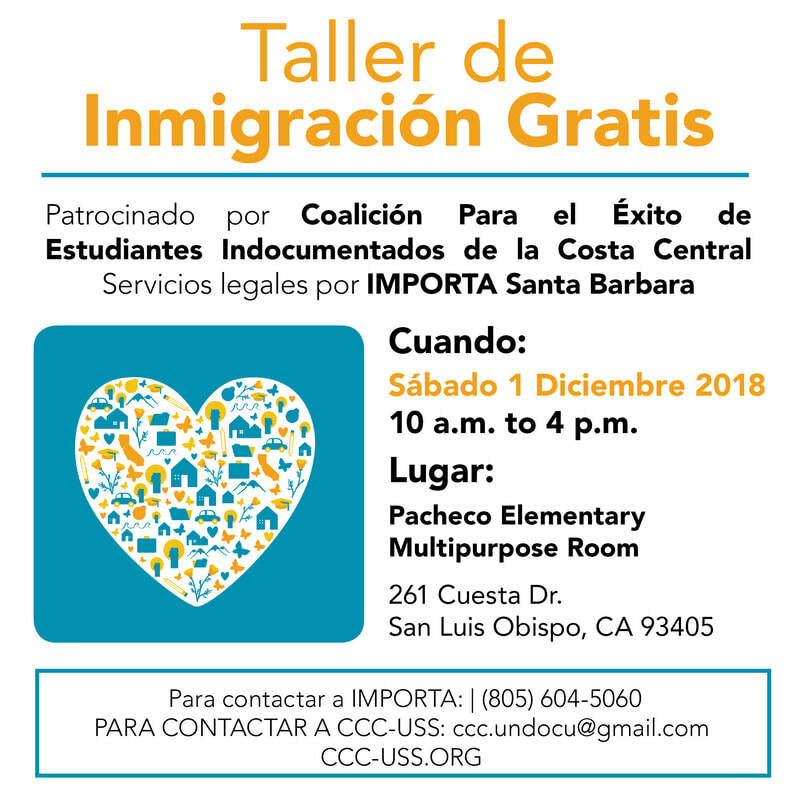 Central Coast Coalition for Undocumented Student Success is sponsoring an immigration workshop with free legal services provided by IMPORTA Santa Barbara for undocumented students and families. IMPORTA is authorized by the Justice Department to represent and provide legal counsel for low-income immigrants. The workshop will include DACA renewals, and consultations/screenings with free legal representation for those who qualify. The wonderful announcement is that DACA renewal fees will be paid ($495) for attendees who qualify for renewal. We are encouraging students who have at least 18 months remaining to come to the workshop and get consultation if they should renew now or not. Download the flyers below. List of documents to bring are included on the 2nd page of the flyers.